We love helping pet owners give their dogs a safe place to play in the backyard. 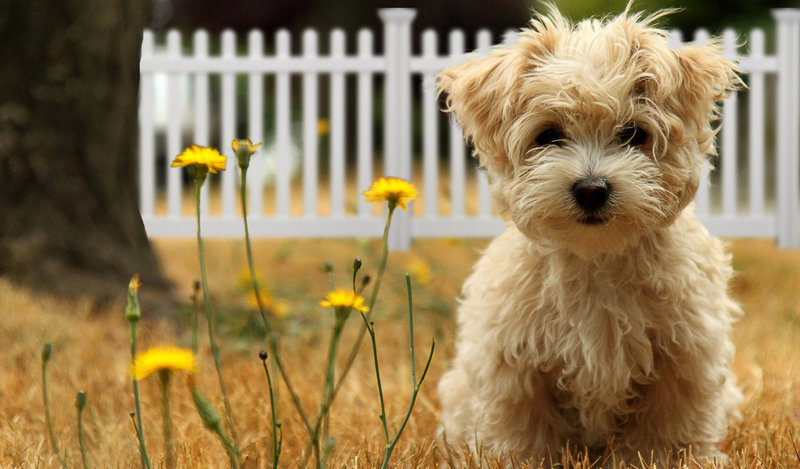 Our vinyl and aluminum fencing is dog-proof for many reasons, several of which you can find here. It’s Friday, and we couldn’t resist posting our recent favorite picture of a dog playing in the backyard with some vinyl fence to keep him safe. It’s long overdue, but we are pleased to announce our 2013 photo contest winners! 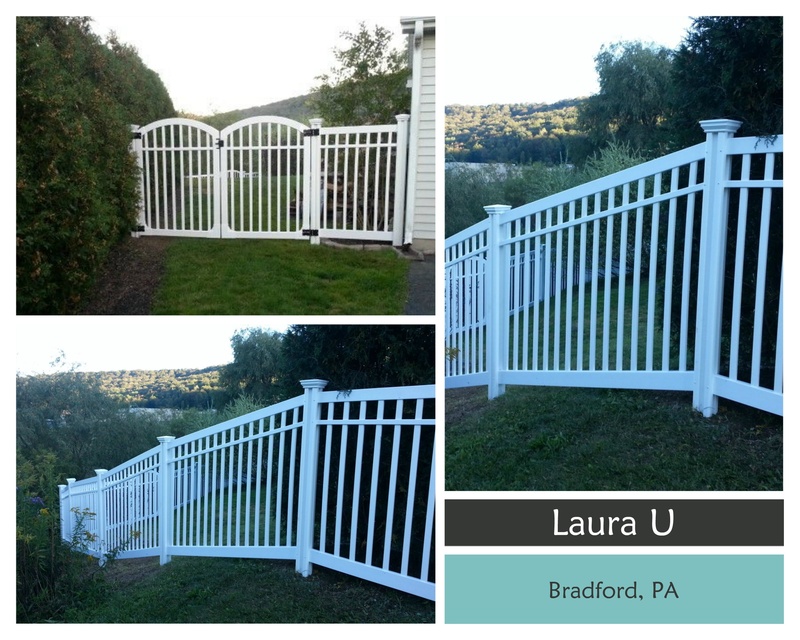 Laura U in Bradford PA takes the first place $500 cash prize with the Nervous Nelly Vinyl Fence and 197 votes! 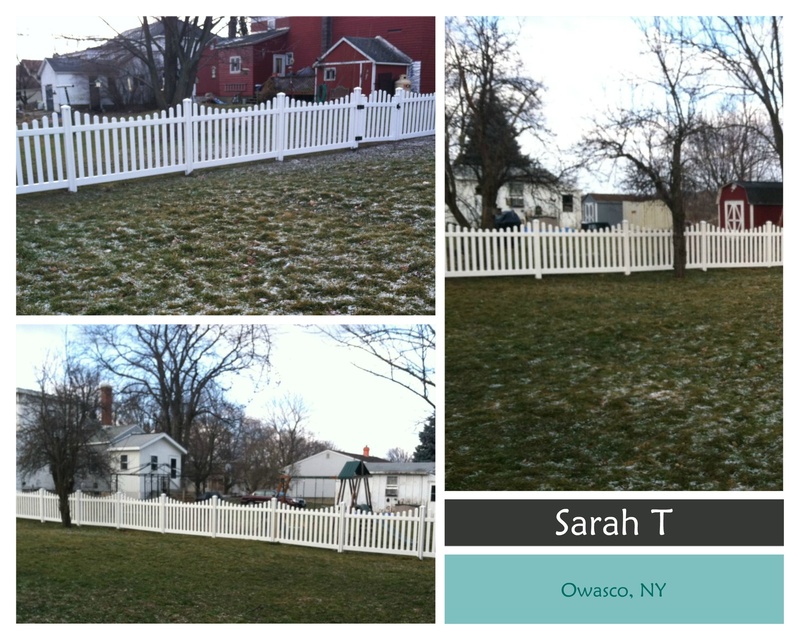 Sarah T in Owasco NY takes home second prize of $250 with 144 votes for her Jiminy Picket Vinyl Fence. 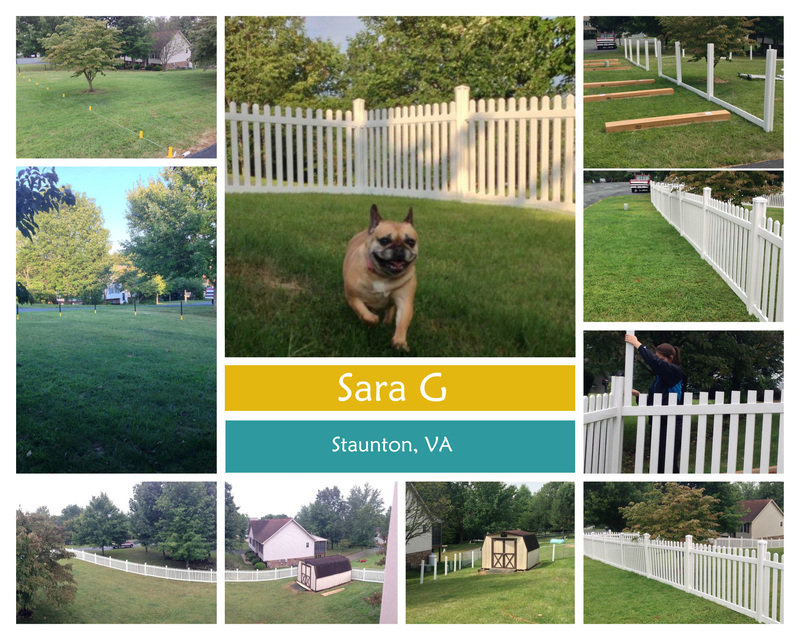 Sara G in Staunton VA takes home $100 third prize with 59 votes for her Jiminy Picket Vinyl Fence. Thanks to all for participating, and congratulations to our winners!